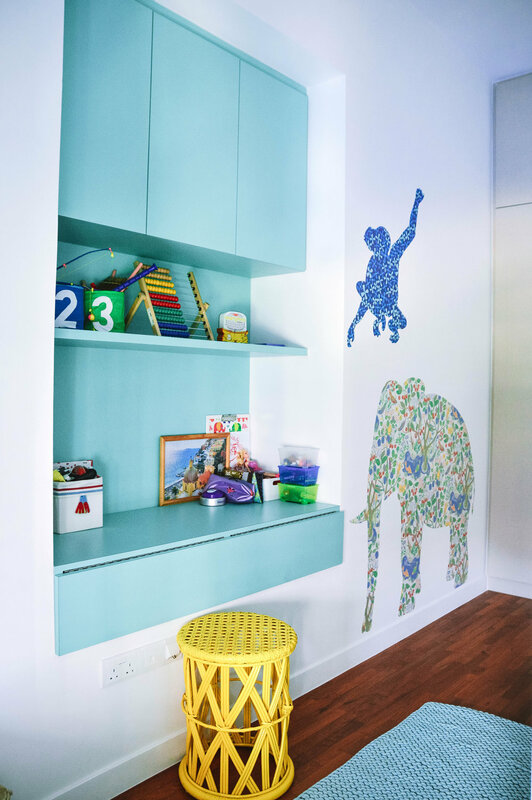 For this design and styling project, we went on an exciting journey with a family of 3 (with a fourth member on it’s way), who just bought a unit in a brand new condo. The concept was to create a home for them by maximizing the use of the space and adding Danish design to make it clean looking, comfortable and modern and at the same time a warm family home. 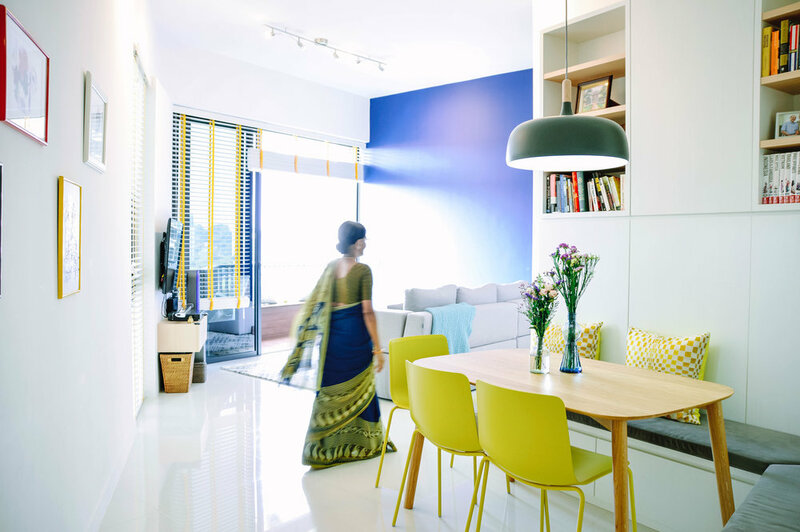 Due to the irregular shape of most of the rooms, we designed and custom made built-in furniture to complement the structural form off the apartment. A built in dining bench that includes cabinets and shelves for storage, a platform bed in the master bedroom with storage under the bed and we sealed up one of the many windows in the daughter’s room to create a wall to build a pull-out desk with shelves and cabinets on to. To allow space for the open concept wardrobe in the Master bedroom we sealed up the existence entrance and installed a sliding door on another wall. 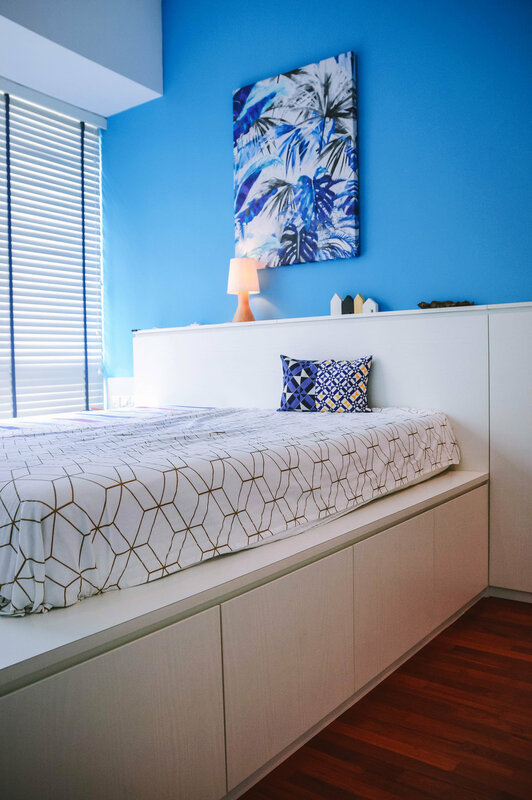 The families favorite color is blue, so we played with a blue feature wall in the living room and in the Master bedroom for the splash of color. For the furniture we picked some modern designer pieces to guarantee a good quality and to suit the overall look.